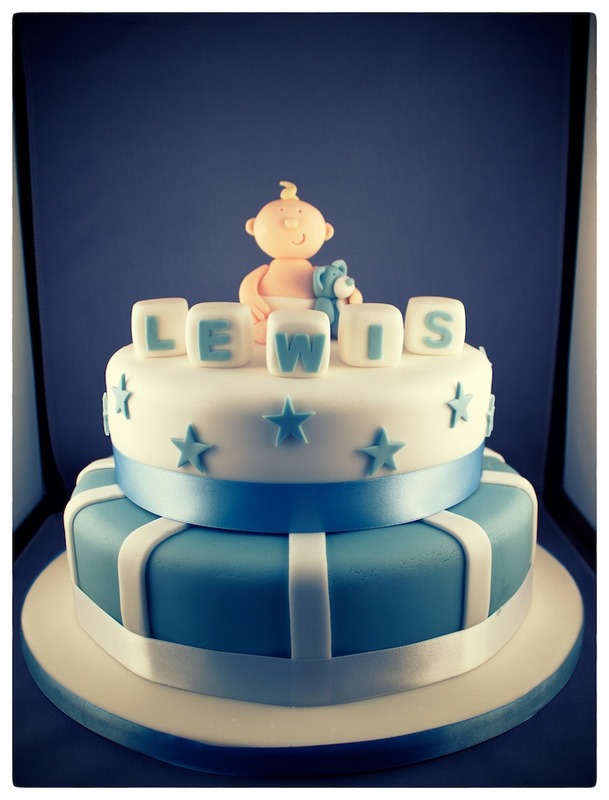 Two tiered baby boys christening cake design. 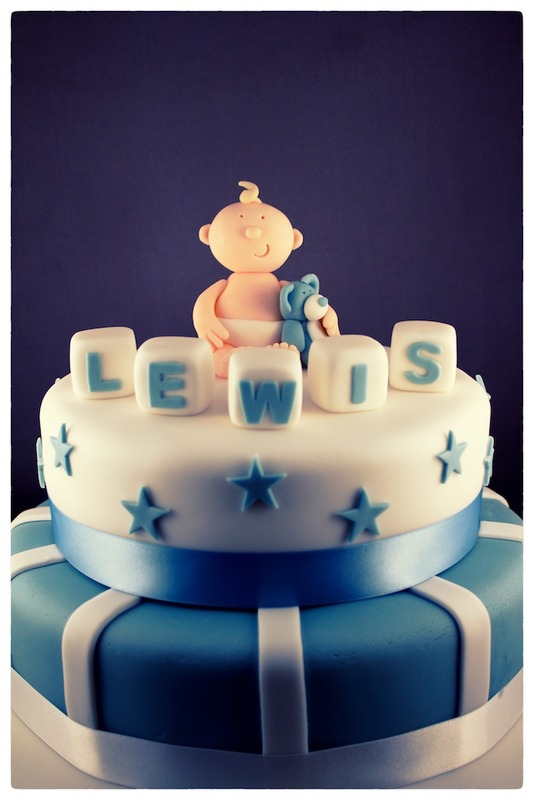 10" vanilla sponge & buttercream filled base cake and 8" vanilla sponge & buttercream filled top cake. 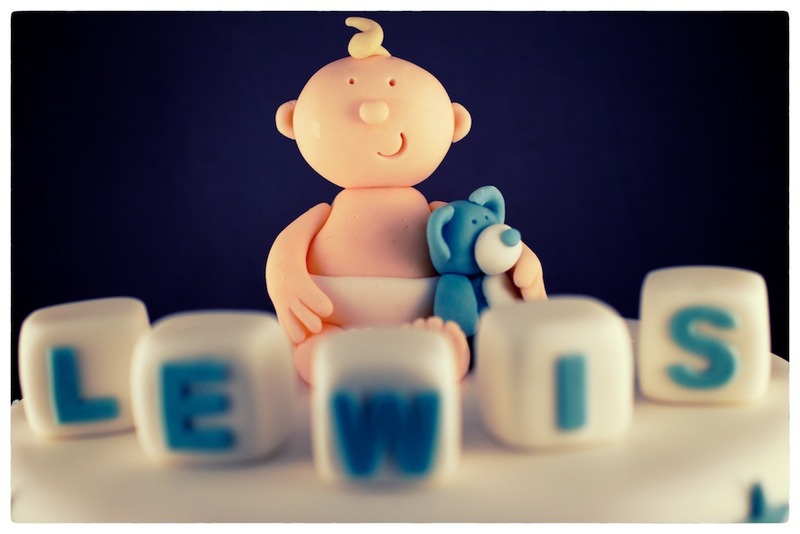 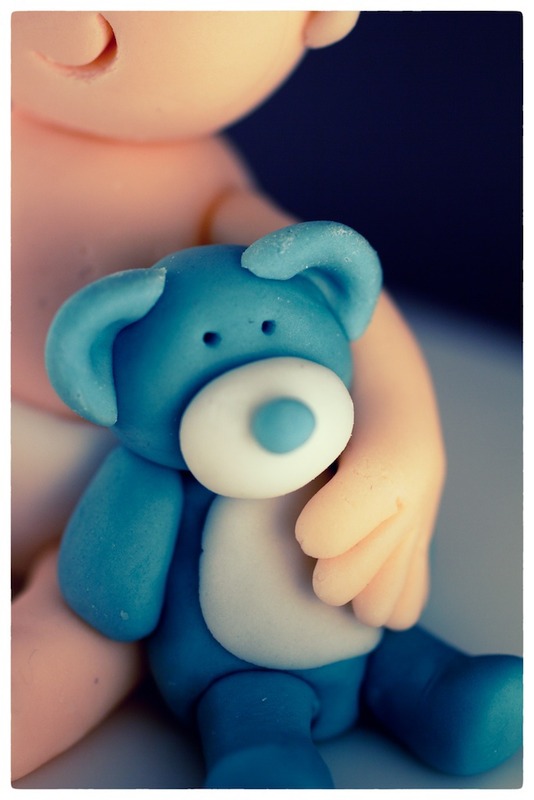 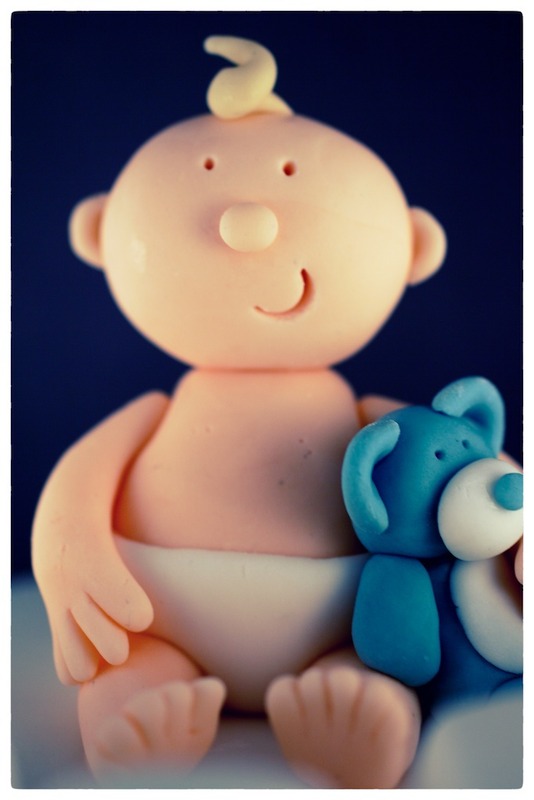 Covered with fondant/sugar paste and topped with a handmade gum paste decoration of a baby boy with teddy and letter blocks.